Never again worry about forgetting where you put your trusts, wills, powers of attorney, insurance policies, investments and other critical documents because they can now all be kept in one place that is easily accessible! Our Generational Vault is a virtual “safe deposit box” for you to upload important documents and view financial information. Snapshots of financial assets and expenses for you to view your full financial position and receive monthly newsletters, market commentaries and meeting alerts. 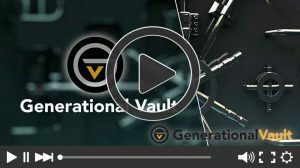 Generational Vault is available 24/7. It’s as if you have a team of specialists working around the clock, keeping an eye on your accounts!